Presenters: Mayor Celia Wade-Brown (Chair), Geoff Bascand, Charles Waldegrave, Richard Ballantyne, Professor Bruce Glavovic, with additional insights from Allan Freeth. Speakers are identified in bold type. Presenting in the first session on Building resilience, some of the observations by Telstra Clear‘s Allan Freeth are relevant here. His commentary – on leadership and management challenges during a ‘global level’ disaster begins this section. The speakers’ insights and observations on Leadership through an event like earthquake continue in the order as written here: Geoff Bascand, Charles Waldegrave, Richard Ballantyne, Professor Bruce Glavovic. Telstra Clear is a complex, diverse technology networks business, and is an essential service for large corporates, Government departments, and thousands of residential customers. Businesses plan for the situation of disaster recovery and management, with on-going business as usual demands. But, rarely do they experience it. The title of my talk comes from one of our more politically correct staff in the call centre that was dealing with a customer when the second earthquake struck in February. As you can imagine there are a range of other recordings which I cannot repeat but all them make for compelling listening as you hear the screams of staff, the crashing of the roof falling, and the very heavy air-conditioning units crashing to the ground and onto the desks they were sheltering under. A crucial part of our crisis incident team structure is always the leadership of the Senior Executive, leaving myself and others free to focus on the bigger issues and usual business operations. In the first quake, based on the shock of the magnitude of the event, I took control of the incident from day one. By the middle of the second day, I had realised my mistake and passed on responsibilities for the incident to my leadership team. By Sunday evening, I had enough perspective to begin worrying about what we were going to do if a quake of that magnitude struck Wellington. By Tuesday morning, we had staff working on a contingency plan. The second earthquake was different – I assigned one of my executives to lead the response. However, we replaced the usual very open and central style decision-making structure of our crisis team with a much more streamlined, controlled structure with crucial, critical decision-making rights retained by myself or the executive. For example, if someone wanted to go to the Red Zone or enter our buildings they had to have my explicit, written approval to do so. Other members of my leadership team were assigned immediately to set areas of action under our BR plans and were free from other responsibilities until the crisis ended. One of the strengths of the Telstra Clear leadership team is that they have all held multiple positions either running the businesses or the support units. This was also true of their ability step into each other’s shoes. Also, from the first earthquake we had learnt three things. Firstly, command and control disciplines are hard to impose if you have been working under a different management style until that point. We learnt that people resent distant commands and by the time we were hit by the second quake, we had learnt to let local teams to approach challenges in their own way but with clear values of decision-making held centrally. We learnt to control heroes. Heroes may do great things, but their actions can threaten their own safety and those of their colleagues, and can compromise the ability for you to gain control of the situation across the country. In the first quake, I was forced in the face of local resistance to fresh bodies and minds, to deliver an ultimatum to our staff and I did it personally: I said they could either walk out the door and go home to their families with their jobs, or they could walk home without one. Either way, they were going to walk out that door and stand down. Last week marked a significant event for my Population Statistics team. It was their seventh consecutive week in one office location in Christchurch – the longest spell they have had in the one place since September 4 last year. Three offices, five moves, 21 weeks working at home, and a number of weeks working in Wellington. Meanwhile, they completed 53 statistical releases largely to schedule, with an average delay of 21 days. One five-yearly census cancelled, now rescheduled for March 2013. $72 million spent, 7500 people employed and then let go – and paid out. The quake of February 22, 2011 was exactly 14 days before Census day, March 8. Given its enormous human and organisational impact, it is tempting to date the quake stories from that day, but in fact we have been recovering, responding and adapting from September 4 through June 13, onward. We still are, and still will be next year, and in years to come. We hope the Population Stats team have only one more move in front of them – back into our permanent building in March next year – but we have learnt that nothing is certain or to be counted upon. We have also learned that we can work differently, that there is enormous resilience and innovative capability in the organisation, and that crises bring out the best in us! The diversity of experiences continually challenged our management responses. You simply cannot assume how people respond to crises and stress. Some staff we expected to be unshakeable were traumatised and unable to work at times. Others surprised us by stepping up way beyond our expectations. I was torn when talking with managers by the need to support them personally, given significant damage and disruption they suffered themselves, and needing to rely on them to lead our recovery and support their staff. It was very hard to know what we could ask for. To not ask frustrated some as it made them feel we lacked trust or confidence in them. I learned to ask but be prepared for any answer; through typically they were ‘yes’. A few staff worked beyond acceptable levels and in a couple of cases suddenly needed time out. In a few cases we had to insist on staff taking leave. The organisation was hit hard in business terms by the three major quakes, but fortunately limited in direct personal physical injury. A number of staff lost family members and friends in February, while many of course lost homes – nearly all experienced some form of shock. The September quake closed our main office Dollan House (near the corner of Bealey Avenue and Madras Street) for three working days, but rendered the third floor unsafe and unusable until December 17, when we temporarily resumed ‘business as usual’. Our recently installed emergency generator proved its worth, as power and computing facilities continued operations largely uninterrupted. In the February quake, our main office was severely damaged, as was the census building. After 48 hours assessing whether we could continue the census, or usefully run it excluding Christchurch, we determined it was infeasible and on Thursday 24th I recommended to the government to cancel it. This was only the third time the census has not been taken as scheduled since 1851, the other occasions being during the depression of 1931 and the Second World War in 1945. Staff were granted special leave initially until the end of March, which was subsequently extended until the end of April for those who couldn’t work. Gradually through April, we introduced remote computing, allowing working from home for those we provided PCs to. By the start of May we had 160 staff set up to work in this way. On May 4, we commenced tenancy of a single floor in the MSD building in Winston Ave, Papanui, with 104 desks. Some teams and individual staff were rostered on a rotation basis to utilise these ‘hot-desks’, typically for 2 or 3 days a week, with the remainder of the week working from home. Population Statistics was one of the lucky teams to be rostered in this way! Some staff continued to work entirely from home. On June 13, the Winston Ave building was again damaged, and closed. We recommenced working from home (apart from 30 desks in Sockburn). Fortunately, all staff now had home-PCs, so work disruption was relatively limited. Nonetheless, some further delays to releases were encountered, including GDP, due out on 23 June, being delayed until 7 July. Again, field interviewing was suspended for 1 week. Winston Ave was re-opened on August 29 to Population Statistics delight. At this point, we expect to return to our main office in April 2010, with all staff accommodated there, although we know this is easier to plan, than to accomplish. In this part of the account, I have tended to focus on the office closures and openings, with sparse reference to field interviewing, and no mention of wider impacts on the other offices. I will pick this up in the following section on our response. Following the February quake, we recommenced crisis management operations. Given the greater severity of impact, and that it affected Christchurch managers more personally, I asked one of my senior executives to transfer to Christchurch as acting General Manager. He lived out of a car and his mother’s home for a fortnight, and we then rotated another senior executive member down for another fortnight. This time, we established a formal earthquake recovery programme and designated an earthquake recovery programme manager. Around four weeks after the February quake, our IT Group developed a solution to introduce remote access computing for staff. When the June quake struck, all 240 staff had such a facility and ‘normal’ work resumed quickly. Remote computing also proved invaluable in late July, when snow closed the Sockburn office, forcing everyone to resume work from home. One staff member with a severely damaged home did ask if they had an exemption from the requirement to work at home – because of the snow plough that was proceeding down their hallway! Remote computing had been considered in Statistics New Zealand for a number of years, but rejected. This was largely for security reasons and the perceived limited demand, given our office-based working norms. When the imperative occurred, it was a tremendously quick and successful initiative. Security and policy matters were addressed, imposing some limitations such as no printing. Experience has shown that productivity is inevitably slightly lower than in the office environment – because of the restrictions imposed by documents and resource material being inaccessible, due to building closures, and because of reduced interactions and communication – but it proved miles higher than the alternative! A fantastic response from our IT team that enabled us to keep producing New Zealand’s critical statistical information. This week about 15 Christchurch staff have been working for part or all of the week in Wellington, and four in Auckland. They’re from business units including Integrated Data Collection, Application Development and Support, Product Development and Publishing, Statistical Methods, Standard of Living, and Census. Earthquake update – 4:30pm Thursday 24 March. One of the most crucial management and service delivery mechanisms was prioritisation of our products and services. We had previously prioritised all of our work for budgetary and business contingency purposes, reflecting the needs of data users. During the SARS and H1N1 pandemics, this prioritisation table was expanded to address the specific priorities for key statistics users in the event of disasters, when monitoring economic, trade, population, and perhaps some key social dimensions might be particularly needed. Following the February quake, in consultation with Treasury, The Reserve Bank and MED, we refreshed this prioritisation of our statistical work, and then utilised it to allocate and direct our activity, staff & service support, travel and facilities management. The reality is that not everything is as important as everything else when a crisis occurs, and some work could be deferred or slowed without immediate consequences. Staff support has been a major element of our recovery programme from the outset. We took care to show that we valued them and that we recognised our business depended on them. We made clear that job security was not threatened by the quakes, whilst our statistical services were required by government. Special paid leave was granted to all staff for whom there was no work. Initially this was pretty much all employees but subsequently it was reduced gradually to non-essential staff and then to a case-by-case basis. Workplace support and counselling services were made available for all staff and many took advantage of these services. Manager support and communication was of course the primary channel. Communication was via phone, email, website notices, and a dedicated earthquake response phone line. I wanted a more-is-more approach to staff communications. I knew that staff wanted to know what was happening and made sure my team did everything they could to do that. Our staff engagement survey conducted in June 2011, with 212 Christchurch responses, showed our staff felt valued. The survey reported engagement in Christchurch on a par or slightly above the rest of the organisation. 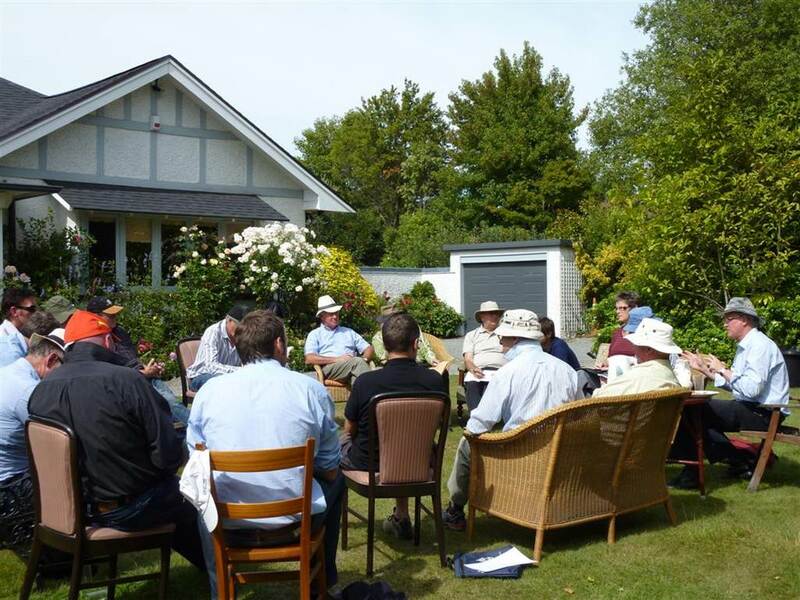 Moreover, 80.3 percent of Christchurch staff said, “This organisation cares about the well-being of its people.” – Well above the organisation-wide response of 74.6%. A number of staff used their homes for meeting places and one couple turned their home into an office space for project team members. Some staff regularly skyped one another, using personal facilities and later with corporate support. Working from home was very difficult for staff with severely damaged homes, with staff using dining rooms and other people’s homes as offices in some cases. Locally, staff lent support to one another in terms of accommodation, shower facilities, and emotionally. Generous donations and offers of personal assistance, including accommodation, were offered by staff from across the organisation and substantial donations were received from the Australian and UK statistics offices. Our response and recovery has not been a smooth, steady pathway. It has been typified by uncertainty, continually changing plans and of course continuing disruptions. Endless communication has been a hallmark. Yet, communication was one of the most difficult challenges in the early phases. Endeavours to check on staff and then relay messages were frustrated by telecommunication downtimes, and numerous staff having no personal email or web access – either due to an absence of power or simply having no PC or internet service. Unfortunately, many staff had no personal contact details lodged in our internal corporate directory and even fewer had emergency contact details, and we were reliant on HR personal file records or two degrees of separation from work colleagues who could be contracted to check on colleagues they knew. It took us a few days after February 22 to establish that all staff were accounted for and uninjured. Communication remained fraught for a couple of weeks. At times, for some staff, we relied on them to contact us, or to extract messages from our helpline and website. Managers bore the brunt of the effort, with regular phone calls. Without normal office facilities, wider communication remained difficult until staff had home computing. Personally, I found it very frustrating, not being able to talk with staff or impart messages of support – or being able to listen to them. Communication often felt to me like one-way transmission, although staff feedback showed no anxiety on this front. Whilst it was a difficult process, effective communication was supported by strong pre-existing relationships with staff. We were fortunate that two of our senior managers in Wellington had many years in the Christchurch office and others, including myself, had strong connections with staff and managers there. This made it easier to assess how we were going to help them. When our situation and recovery plans had settled a little, we arranged a full staff meeting at the Airport Copthorne on March 10. This was the first occasion when staff had been able to meet together and we, as senior managers, had been able to meet with them. It was a special occasion, with stories being shared, support being lent, and questions being asked. I recall how people appeared to have either one of two stories: they lived on the west and were fine or they were on the east and damaged, yet in both cases there was always someone worse off than them. The preoccupation with the Christchurch recovery and staff support risked overwhelming the need to address stresses elsewhere in the organisation. The quakes had severe impact on other parts of our business operations and morale. There were the obvious indirect impacts on corporate, IT and statistical support and areas straining to assist Christchurch operations. Extra effort was required to validate the accuracy of statistics affected by the quakes – The Household Labour Force Survey estimates of employment and unemployment, for example. There were also substantial groups of staff in Wellington and around the country whose work was cancelled or significantly reduced as a consequence of the quake. These included our social statistics area and our field interviewers reeling from cancellation of three household surveys that had been scheduled to follow the census. I was acutely conscious to avoid the suggestion that the quake impacted only Christchurch staff, when it was being felt much more widely. The census has a special place in New Zealand’s social and economic discourse, and is hugely significant to our Statistics New Zealand’s operations and psyche, standing over all other collections, like Goliath over the ranks of Israel. Its cancellation was a threat to the organisation’s morale and capability. Upon its cancellation, after four years of planning and development, on the very eve of its execution, the census programme team had to wind-down its operations, dis-employ thousands of staff, cancel countless contracts – and then urgently develop options for government decisions about its future taking and postponement. Then they needed to recommence planning to undertake it again in 2013. This was an extraordinary test of commitment and leadership, which they fulfilled superbly. We unfortunately had to reduce our interviewing work by approximately half of what was planned through the March to October period. The quakes were an awesome reminder of the forces of nature exceeding those of man and beyond our control. The inherent desire for certainty and control over our plans and business activity stands in stark contrast yet is hard to shake. Our recovery plans were a continually moving feast. Builders are notoriously difficult to hold to schedule, but dependencies on insurers, building owners, property managers, engineering reports, IT suppliers, and continued quakes made the foibles of trades-people the least of our concerns. The start-stop nature of plans to return to buildings was especially difficult for staff looking for some sort of return to normality. In the most difficult event, we re-opened our census building at one stage (March 22) on the understanding that it was safe and green-stickered, only to then have a full written structural review reverse the decision, declaring it unsafe and yellow-stickered on March 28. Contingency planning became an organisational expertise, along with the truism that you can never communicate enough. We simply kept people informed of what we could and couldn’t do, what was expected and what was uncertain. The final challenge I would identify was that regular ‘production’ work was much easier to maintain or progress than development projects and organisational change. We managed to sustain normal or business as usual operations very successfully. Change or development projects were more difficult. Project reviews over many years have told us that co-location of project teams and intensive communication is important for project success. Moreover, we typically follow an agile IT development methodology that involves daily meetings and short sprints to complete tasks. Daily meetings were infeasible with staff scattered through the region, but church and RSA halls were hired for weekly or fortnightly project meetings. Even with heroic efforts, we still encountered modest project delays. Behind our successful response and recovery were a number of key attributes: Extremely high levels of communication and personal and visible presence by senior managers. We centralised communication planning and setting key messages which ensured clarity and consistency. Internal communications were frequent and targeted for multiple audiences – managers, Christchurch staff, all staff. Much was done by phone or email and face to face when possible, with the all-staff meetings being highly appreciated events and opportunities for dialogue between staff and senior managers. External (stakeholder) communications were also highly important, keeping our data users informed ahead of time about revisions to release schedules and potential quality issues with reduced collection coverage. The commitment of our managers and staff to what we stand for and do – and to one another – is tremendous and stood us in great stead during the year. Other business areas willingly assisted Christchurch teams in getting releases out. People went to extraordinary lengths to meet commitments and to undertake recovery efforts. Everyone was willing to try things out. People banded together and ultimately our recovery and response has been a fantastic collaborative effort. How our people responded and kept working, indeed working much harder than normal despite their difficult personal circumstances, was tremendous testament to their organisational commitment and the culture of the organisation. Our distributed leadership might also be considered part of the success. 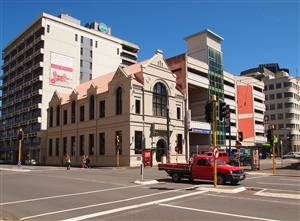 Beyond its own activity, the Christchurch office had often been thought of as providing back-up to Wellington, should it be required. In this case, Wellington and Auckland could support Christchurch and sustain our operations. Senior executive capability (all in Wellington) was unimpaired, though local management was. Should a quake occur in Wellington, the organisation’s capability to operate with its senior executives directly affected would pose some different challenges. Innovation and flexibility in the way we operated, in part from individual initiative to find solutions and seek ways forward. We have been purposefully building an organisational culture of initiative and innovation, and it paid enormous fruits in this instance. Perhaps risk-taking seemed easier when options were scarce or maybe the downsides of failure seemed trivial when the situation was so dire! Whatever the trigger, it was a fantastic response by the IT team especially and others to overcome hurdles, ignore constraints, and forge ways forward. Recognition that not everything is equally important and willingness to prioritise our activities and recovery efforts. In fact, we found some things weren’t important at all. For example, as we tested the demand for our products and services, we identified a couple had virtually no demand at all, so we permanently cancelled them. Nobody seems to have noticed! These were the exceptions, but there was an important lesson that not all activity has to be sustained, some can be deferred, and in the event of diminished capacity business commitments can be rescheduled to free resources for higher priority activities. 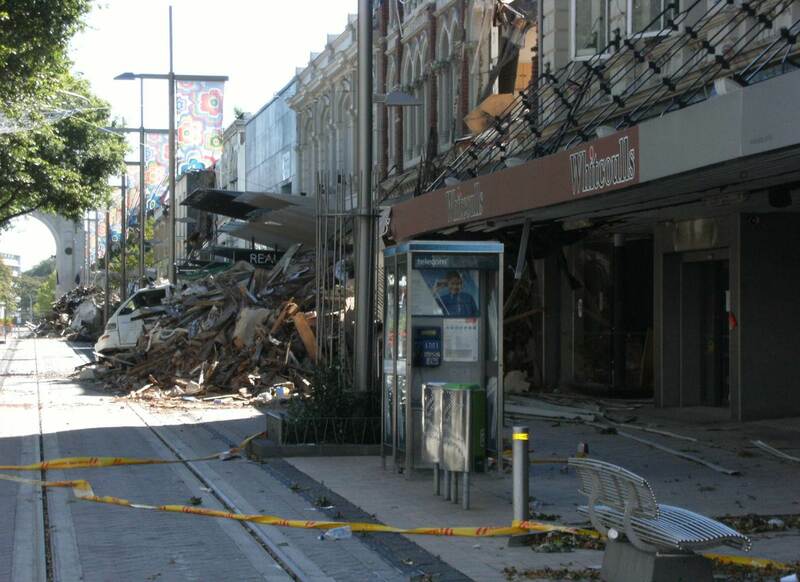 The Christchurch earthquakes severely tested our organisational resilience. But we came through exceedingly well, perhaps even stronger as a result. The impact was sharpest in Christchurch, but the reverberations were also substantial on the business in Wellington, Auckland and throughout the country with our distributed household interviewers. We adapted and succeeded in sustaining service delivery, through both individual and corporate initiatives. Supporting the welfare of staff was crucial and an over-riding objective in all our decision-making. Strong staff goodwill, faster recovery, and greater achievement of our work commitments than anticipated were fruits of this approach. We developed more flexible ways of working, and these enabled us to keep statistical releases flowing and projects advancing with extremely limited office facilities. The remote computing innovation has brought precious new resilience capability to the organisation should similar risks occur in future. It may also have changed our organisation forever. We have new-found confidence in our innovation capabilities and we now know we can manage extremely diverse working arrangements successfully. It is not yet clear how much our standard office-based arrangements will change in the medium-term. There are real downsides in communication, team cohesion, organisational change and project delivery from staff working at home or in multiple locations. With our large transformation programme underway, co-location has a special premium. Our earthquake recovery is a continually evolving situation. 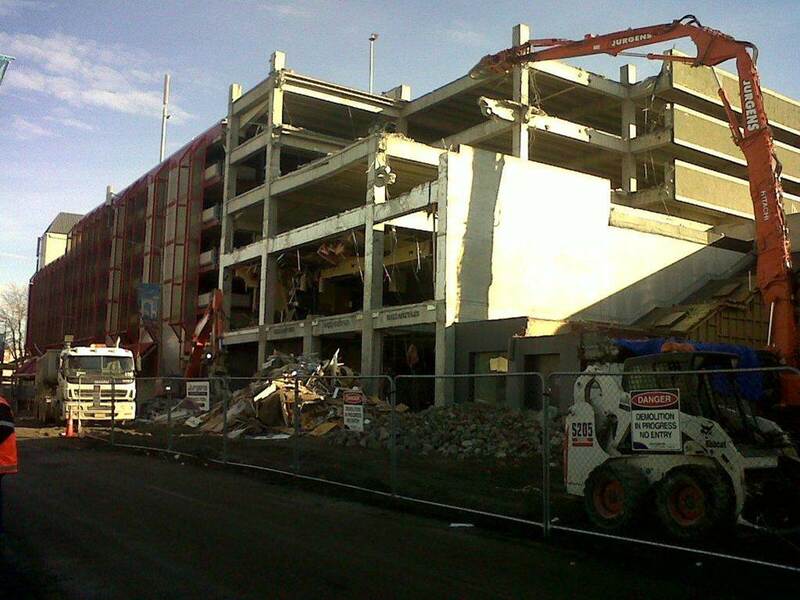 We are 13 months on from the September 4 quake and still located in multiple, temporary offices. Barring further quakes, we think we foresee some temporary stability, through to April next year, when we expect to return to our permanent office facilities. However, history has taught us that little has gone strictly to plan so far, and we are best to expect some upsets or disturbances somewhere over the next few months. Organisational adaptability is sometimes argued as the most important enduring strategic capability. We have learned that it is also an extremely important attribute in recovering from a crisis. It will also hold us in good stead for the future. Nothing seems to faze us now, everyone seems to have got quite resilient. They expect change and make the best of it. Work is not what it used to be for us….There is the abnormality of our future so there is that distraction from our work. The “new normal” is actually the abnormal. Our leadership mettle no doubt will be tested further. It has, however, proved tremendously strong and capable so far, which gives me great confidence in our ability to respond and deal with any other shocks – seismic, economic or political – that may befall us. While our specific responses might not be exactly what suit others, these broad organisational attributes are ones that should serve everyone well in the event of disaster, and ones we can all build. So, I stopped what I was doing for a week and just read everything. I also rang friends of ours who had been working in disasters. I read an enormous amount of research, linked up with people who had been involved in Sri Lanka after the big tsunami there, people in the Middle-east who had worked in psychiatry around the terror attacks there, and other friends who had worked in Rwanda. After that, we developed an up date approach about addressing trauma amongst people. We’ve talked a lot about businesses today, but all of these businesses have people, with many of them seeing terrible sights amongst this disaster and some of them need help. We were contracted by the Ministry of Social Development to go down to Christchurch in March, and we worked with 790 frontline workers in health and education and NGOs, all who were working with people trying to address trauma in half-day workshops. The key learning is that there has been a big change in understanding about how you work with people who are traumatised or have elevated emotion of different problems as a result, or withdraw as a result of seeing terrible things. The normal work in PTSD up until recently has been to psychologically debrief people, take them back through the incidents and try to support them as they go through. It is now recognised through a lot of research that this is the worst thing you can do. Now, it is important to focus on resilience and be very careful not to traumatise people. Here’s what the World Health Organisation says – psychological debriefing is not recommended. It’s quite common to have elevated rates of common mental disorders following an event. What they recommend in its place is what they refer to as ‘psychological first aid’ – convey compassion, assess needs, ensure basic needs are met, do not force talking, provide company (preferably from family or significant others), encourage, but do not force, social support, protect from further harm. To explain some of this: Where the problem comes is that some normal aspects of counselling or psychotherapy can unintentionally re-traumatise people and leave them psychologically worse off. The logic behind this is that a counsellor or psychotherapist is trying to help someone and very often they’re working to remove resistance, people have things that have gone on in their past that has affected them, so they try to help people address that, to face things that are happening in their lives or relationships, so you become very good at addressing resistance. If you treat someone post-trauma like this, where they’ve seen deaths, had bad things happen to their homes, have friends who have seen bad things, and start pushing these protective elements that they have then you can actually re-traumatise them. If you think of a continuum of hope and despair – when you have a redundancy, broken marriage, or other traumatic event, you move down this continuum. When there’s a major event, they go way down to the despair end, and for most people they don’t want to talk about it, especially in the immediate weeks after, so try not to tip them further down the scale. So what we did was try to ask people positive questions e.g. “how have you managed since the quakes?” and what you find is that people tell stories of all sorts of strengths. Then you find ways to show people who have felt victims of the event to realise that they have actually contributed a lot and helped other people, and it gives them a sense of agency. Psycho-social first-aid tips: Helpful questions avoid re-traumatising. Focus on the strengths of people’s stories of survival. Help them to regain their important points of social and family connections and their critical people symbols and places of meaning. If they go to church, encourage them back to the church. If they usually go to the pub or sports groups, do the same. Building these connections become really important. Age appropriate interventions are really important. It’s important to encourage resiliency and strength with young children. What tends to happen is children hear the stories of adults, and they tend to go inwards. So what we found was important in Samoan schools was helping kids to free-out. One of the things we would do was to give the kids a sentence and put them in pairs. They read the sentence to each other louder and louder and to see if they could out-shout the other person. It works. It freed the lungs up, it was fun – they really enjoyed it. The other thing is we get them in pairs and we get them to push against each other and it gets their bodies moving again, because events constrain the kids. Resilience does not come from rare and special qualities, but from the everyday magic of ordinary, normative human resources and the minds, brains and bodies of children, and their families and relationships and in their communities. It follows that efforts to promote resilience and confidence in children at risk should focus on strategies that protect and restore the effect and efficacy of these basic systems. So what we’ve learnt is not to dramatise, not to pathologise – these are the things that don’t help. It’s also important to understand that people have quite strong, elevated mental health issues. It’s perfect normal to have those for a period of time, and they tend to weigh in afterwards. Things like intrusive memories, flashbacks, changed attitudes about themselves, some people lose confidence, some people get very anxious, some people become more detached, these are all perfectly normal symptoms which in normal circumstances would be seen as mental health issues. But these are completely normal responses of the body to a disaster and they normally wane after a period of so many weeks. They start re-enacting the earthquake in their play, they can become clingy or bedwetting, they can get pains in their body, school avoidance, all these types of things and it’s important to understand that this is a process. Its only when then this goes on for a number of months, when other children have moved on, that we may have a more serious issue. So, it’s important to normalise these events and to help people move with good information about them. The critical work and the summary of the research has been written up very well in a rather large paper by Steven Hobfoll, from a Pennsylvanian University, where they gathered specialists from all over the world. Five things are emphasised: To promote a sense of safety, to calm people, promote a sense of self and collective efficacy – that people have agency, they’re not just victims thrown about by the land, they can be effective, promote connectedness and most of all, promote hope. In the stories that people tell, they often tell the story of the bad things that have happened, but in that story are all the good things that they have done. Pick those resilient aspects and reaffirm those, rather than the negative ones. I start with reference to Charles Dickens famous historical novel, A Tale of Two Cities. My address today is Two Tales of A City. 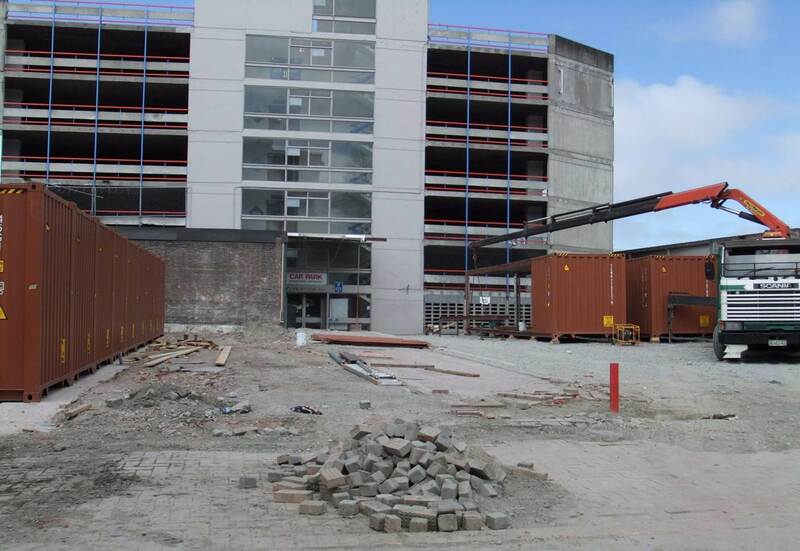 In particular, the manner in which Ballantynes management has handled the people side of its business during this past year, and secondly on how a group of people have gone about rebuilding the start of a commercial pulse in the middle of the red zone of Christchurch. And this pulse is due to beat shortly. Both these tales merge into one. Some of you may not realise, though many will, this is the second major disaster that Ballantynes experienced, in 1947 it had its tragic fire, and lost 41 of its staff. And the only difference between that and now, is the fact that there was loss of life in our building, and then we had a vibrant marketplace in the centre of Christchurch. Nothing much existed outside the four avenues, and all the business transactions and that activity happened in the business district. So when we began again after the fire, and the company was insolvent, we had a thriving marketplace to start within. This time, it’s totally different. Our building is about the only one left, in 4 blocks, that can be operated. At present, we have about 470 staff, of which 380 work in the Christchurch shop, and during these earthquakes we’ve had up to 600 customers in the building. Fortunately we’d have some good experience, because Christchurch inner city didn’t get badly affected by the September the 4th earthquake. We had the building checked and after the subsequent aftershock of September the 8th, we got back into business on Friday, September the 10th. And business was exceptionally good. Then came the Boxing Day. And previous to the Boxing Day we had done an awful lot of staff training. We have always done a lot of staff training on evacuation, due to the fire. We built it up a lot because of these earthquakes. Boxing Day, December 26th – all our training went to plan. We were closed for 3 days as a result of that, and the staff handled the customers exceptionally well. And then we opened again, quite innocently, and business was exceptionally good again. Come February the 22nd at 10 to 2. It was absolute pandemonium inside the shop, and because of the strength of our building (it can have 6 or 7 storeys built on top of it), we kept people inside the building. The orders were to try to keep the staff and customers inside. And that’s very hard to do, because people like to run to light. Not many people have mentioned the June 13th earthquake. That happened right under the city and caused a lot more damage to inner city buildings, and the poor old engineers had to start their work all over again. One cannot praise the engineering profession enough, in this whole saga. February 22nd, and management’s role was really firstly to look after staff. Accounting for staff was very difficult, although we did have a plan in place, but staff were scattered to all four corners of the city. And then the telecommunications network went down, and so on, and so on. So communicating with staff was very difficult. We managed to account for all our staff, I think, within 48 hours, and thank goodness, all of them were fit and well. Subsequent to that, because we didn’t have a business, we decided to meet frequently with all our managers, and for the managers to meet weekly with all the staff. So we kept their interest in the business, we were able to monitor their well-being, and we paid regular visits to staff. We contacted them on the phone when need be, and gave them material help when need be. All staff got paid on time every week, we had good business interruption insurance, and very luckily, ours had already been tested with the September and boxing day earthquakes, so we had a process in place with our insurer. When Peter Townsend talks about the $257 million – those were for businesses within the centre of the CBD or in Christchurch who were small businesses – businesses who didn’t have business interruption insurance, and the government did a great job there. Getting the business going – well, we had little to get going. So somebody came up with a bright idea of running bus trips to our Timaru branch. And the Christchurch shop’s about 80% of our business. So we ran bus trips to Timaru with our customers, three times a week, and over 7000 people have gone on those bus trips – it’s been truly amazing. We’ve got popular cafés inside our Christchurch shop, so we decided to open up a café in Riccarton Mall, and that’s gone tremendously well – but the rent’s too high. We all also opened up a valuations business for china in Merivale Mall, and I think we’ve done over 5000 valuations on china, and some of them are up to a quarter of a million dollars, believe it or not. We ran a huge sale, in Christchurch in the CBS Arena – biggest ever sale for the Arena. Christchurch and people from beyond, had a great time. Getting the stock out of the building was a logistical nightmare, but we did it. And to sort it into saleable, written-off, and subject to claim, and again saleable after reopening, has proved a challenge. We’ve also traded through our catalogues. We’ve always had a catalogue business, and sold through the Internet. Staff education on the seismic quality of a building is terribly important. We know staff and customers of course are going to be scared coming back into the centre of Christchurch, so we’ve had our building bought up to 100% of new code, and staff and customer education are very important. Agreeing with Dr Helen Anderson, I think certification of buildings is most desirable. Staff communication – phone, cell phone, email and nowadays text – very important. Staff training on what to do for themselves and with customers in the event of a disaster. One takes it for granted that people know what to do – but they don’t. For reasons to be understood – we’ve always practiced fire drills. But you rarely practice an earthquake drill. We have to get our staff ready for any type of emergency evacuation. Moving on to Tale two, which is really a leadership story on getting the commercial heart of Christchurch going again, because there’s absolutely nothing in there at all at the moment. The idea of ReStart came from a group of business people who thought because Ballantyne’s building was basically sound, and had suffered little structural damage – a lot of superficial damage, but not much structural – that we could get something going around Ballantynes. So the idea of ReStart – 29th of October 2011 was born. And we were savvy enough, the group, that we knew we had to go to the politicians, and we knew the plan had to be commercial, and we also knew that we had to appeal to the vanity of politicians. 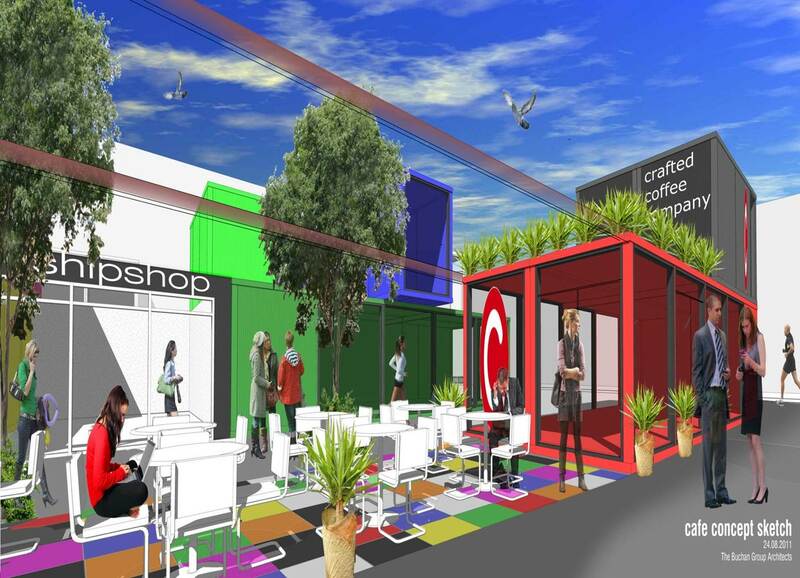 So we got a great idea together, to start business around Ballantyne’s in the form of container shops. And we put a leasing agreement together, a funding proposal, and everything a politician could want. And they did like it, because it was the one ray of hope, of getting something up and going in the middle of Christchurch. For instance, the hotels that are left, many have to come yet. The hotels that can be restrengthened, they will not be open until 2013. People have spoken of speed on intent, and getting something going. This is what we decided to do, so we put the idea to the politicians, they gave it a great tick. We then went to the Council – they were incredibly enthusiastic. We went to Civil Defence – they gave it a tick and said we’ll allow you into the Red Zone, we’ll make special arrangements for you, demolish all the buildings around you, make it safe so contractors can get in and start work on the concept. Everybody gave it a tick, until it came to get funding. And then there was a black hole. You can understand the politician’s point of view, because the funding would have been shown to be favouring a group of business people – and that’s not politically correct, nor politically right. So we wasted, unfortunately, I would say 6 weeks, trying to get through officialdom, to get some funding for this project. In the end, batting it around the various government departments, it ended up in Internal Affairs, and in the Christchurch Recovery Trust. So the funding, which is slightly under 3 million dollars for this, came from the Christchurch Recovery Trust. So we’ve got the funding, and we’re on our way, and we’re very, very thankful for everybody who has helped us. But there are problems with demolition; with making the site safe: compliance issues, with fire – there’s no wastewater there at the moment, no sewerage, electricity or gas. All of this is starting to come on stream for a very small area of Christchurch. Ballantynes, after the June the 13th earthquake, suffered quite a bit of further damage, so we decided to get it strengthened up to 100% of new building code. And we’ve strengthened all our columns with special carbon fibre cladding. So the containers are up there, I took the photograph just a few days ago, it’s getting bigger and better everyday, and we will be open by the 29th of October, 2011 – before Cup and Show week. Cup and Show week, and Christmas of course, have great significance to a retailer – They’re the only time you really make any profit. So once you miss Cup and Show week, you’re in for a very, very austere time. I think having some sort of organisation on the side – that can actually fund a little development like this – a ray of hope – to get a disaster area up and going again, is something that should be considered by all towns and councils. Thank you very much. Bruce Glavovic is Associate Director of the Joint Centre for Disaster Research at Massey University. His presentation talks about confronting social vulnerability and leading people through perils like earthquakes. Risk is often thought of as quite a technical thing about probability and consequence, but really, there are two dimensions that are fundamental: One is the physical peril, the other is the people at risk. It’s about social vulnerability. A disaster occurs when we have a natural hazard event, that exceeds the capacity of the people affected to cope, and they rely on outside support. There is little we can do about physical perils like earthquakes. There’s a lot we can do about social vulnerability. If we’re going to reduce disaster risk, we’ve got to confront social vulnerability. And it’s too late to worry about that after an event – this is stuff that has to happen before an event. Looking at history, there are many civilisations that have come and gone. For some of them, it’s partly a function of environmental change, global change, and the inability to adapt to those changing circumstances. So part of our reality is that we live in an era of global change, and escalating disaster risk. ►Recovery is a complex, multidimensional, nonlinear process. ►It involves more than rebuilding structures and infrastructure; rather, it is about people’s lives and livelihoods. In years gone by, recovery was conceptualised really as a reconstruction process; a series of almost linear steps about how you rebuild places. Cities are resilient and we rebuild them, whether it’s after wars or natural hazard events. But what is obvious, is recovery is more than a rebuilding process. What really challenges us is the nature of recovery. It’s not just the physical environment that we reconstruct. It’s not just the economic environment. It’s an integrated reality of people and the places they live in. So certainly, it’s more than fixing broken pipes and potholes. It’s certainly more than heritage questions, and designing and building new buildings, as challenging as that is. There’s a series of critical infrastructures that we have to rebuild – including physical, economic, social and so forth. To use another analogy, those old bridges in the days before concrete, those individual stones that make up an arch, the keystone – they support each other. And the bridge has integrity and strength, as long as those stones are mutually supported. Once you start chipping away and undermining any one of those stones, the whole bridge is going to be at risk, so we need to focus, not only in the physical and the economic, but fundamentally, on the social. I come back to that social vulnerability over and over again. But bridges and spider webs aside, it’s people that we’re talking about. It’s about the relationship between individuals and their families, between neighbours and their communities, and the places they live that are fundamental. It’s the communities in Christchurch, in Canterbury, that are recovering. Government can’t do that for communities. What government can do is to support those communities in recovery. So what is recovery? It’s complex. It’s multidimensional. It’s certainly not linear. It involves more than rebuilding structures and infrastructure; really it’s about people’s lives and people’s livelihoods. There’s no clear endpoint, and as Peter Townsend said earlier, you certainly don’t go back to what was before, as much as we hanker after what is familiar and what we know. So, recovery really begins when a community repairs or develops the social, political and economic processes, institutions and relationships – trust is key to this – that enables it to function in the new context within which it finds itself. As you think about recovery, beyond the individual organisation and entity, and start thinking about the connections between government agencies, and within government at different levels, between government and the private sector, between community-based organisations, old-established organisations and new emergent organisations, it is about those relationships. And critically important, recovery is shaped by the pre-event relationships. So there’s something that Wellington can be doing now – focussing on building social capital. How do you build intact, positive relationships between all these players, so that in the event of a major disaster, you can build on strong relationships? I spent time in New Orleans, and the Gulf Coast after Katrina. You’ll have seen on television, one of the communities that has been really decimated – the lower 9th Ward, a predominantly African-American community – low-lying, a physically vulnerable community, and socially challenging. In a nutshell, excellent technical planning, naive from a political point of view, has ended up putting people back in harm’s way. So when the next flood occurs, as will happen – it’s just a matter of time – you are going to have communities flooded out again. So, many good, well-intentioned efforts – like Brad Pitt’s Make it right project – some really creative, innovative architecture, fantastic, it looks like good recovery on a whole lot of levels…But on another level, in three or four decades from now, when we have another category 3 or category 4 event, we will see flooding again. Is that wise? One year on from September 4th, what might we conclude? I want to emphasise that it’s hard to take anyone to task in any aspect of this recovery for not doing their best. There are people who are working themselves to a standstill with the best of intentions, across every organisation and entity in Christchurch. It’s an incredible story that, in itself, is one of hope and encouragement. But there are three domains of uncertainty: seismic risk, livelihood uncertainty, and governance uncertainty. In respect to the seismic risk – we’re experiencing the re-calibration of risk as this ongoing event unfolds. We’re still trying to make sense of what really is the nature of that risk. That has had effects on insurance and on other dimensions that have put on hold some of the basic choices that people make about their livelihoods. So there’s also this domain of livelihood uncertainty. You’re unsure about where to rebuild, or what you do about your business. Two challenging elements. The third domain, I would describe as the governance process. We have had a quick and meaningful focus of legislation and the establishment or CERA. But, there’s a lot of uncertainty between key players, like Waimakarere District and the City and Selwyn and CERA, and the Minister’s office and so forth – about precisely what the boundaries are, about who’s responsible for what. That uncertainty around governance bedevils this process. And despite the measures that have been taken, there’s a real need to focus more attention on that. So I’ll pick up two elements in this challenge: on leadership and community collaboration. Those 8600 aftershocks for Christchurch – picture Wellington with those 8600 aftershocks – and think about what that means to you. This is not to be ignored or glossed over. This is worth confronting very seriously, and I consider the governance dimension to be key to this. What kind of leadership do we need? Complicated problems might require top-down, command and control decisions and processes. It’s a different kind of leadership, dealing with complex problems. So in recovery, let’s distinguish the response phase from the recovery phase. In response you’re dealing with high danger, there’s little dispute about priorities – rescue people, triage, secure buildings, there may be half a dozen things that you do, you want to stabilise the situation, and buy time. In those circumstances, the archetypal, alpha-male, militaristic model works well, and there’re women who are really good at that alpha-male role. The recovery phase is entirely different. We’re dealing with low danger, proliferation of complex, difficult decisions, high dispute. In those situations where you’re trying to build resilience and sustainability. What’s needed are empowering adaptive processes – a nurturing, female leadership model – and there are some men that are quite good as that as well. It’s not enough to have lots of people talking and sharing ideas. Because what you can end up with, with all these efforts is essentially a cacophony, and essentially over time with all these actors, you have these disparate activities going on that actually don’t give you a trajectory for recovery. It is chaos and confusion, a lot of light and heat, but not a lot of meaningful energy that you can use. So the challenge in recovery is to navigate a pathway through this. So I’ll end with this: To do recovery planning and strategising well, you need to take time to set those enabling conditions in place. It starts with pre-event planning; it starts with a whole lot of activities before you start producing plans. Underpinning that is some basic work in democracy and participatory planning. This is not thin, RMA-light consultation, but meaningful and authentic community collaboration. That is the foundation..
Then you can start getting on into implementing key recovery actions. There’s a real temptation – there’s the speed versus deliberation dilemma. You want to get in and see action quickly. But if you haven’t laid the ground beforehand, you can waste a lot of time paradoxically. Once you’ve built a shared understanding of risk, once you’ve started getting people’s skills and capabilities built. Once you are engaging together using those skills and capabilities, you can do community oriented action. You can then move on into targeted recovery outcomes. And these are not simple, easy choices. They are wicked choices, as you trade-off key social goods. That requires effective collaborative community problem solving – a different kind of leadership, a different kind of role. And finally, you move into this idealised situation of sustainability and resilience, which we know, is something to strive for. Nirvana.- we may never reach it, it’s like peace and justice and all of those good things – worth striving for, but takes effort. And you will only get there when you have collaborative communities. 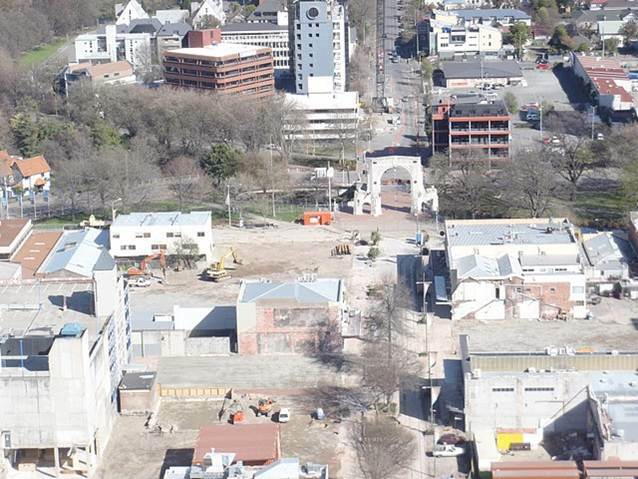 The question to be asking in the context of Christchurch – and thinking about these issues in the context of Wellington – how can the recovery process engage local people in these processes of joint learning and public decision-making? How do you capitalise on local culture and local knowledge? How do you mobilise local capacity to rebuild? It’s all too easy to be focussed on the resources that are injected from outside – what are the capabilities and assets in situ? How do you enable these local communities to make choices that build safer more sustainable? You can only face these challenges by working together and in collaborative communities. We must focus on the readiness and response, and on the reaction and the recovery. This is our challenge. It’s about legitimate process, leadership that’s appropriate to the circumstance. Be aware that response and recovery are two different issues, and that local matters. Build linkages. Do what’s needed before the event, and focus on building collaborative communities. Cashel Mall Re:START Video (Timelapse photography of the final week of construction and fit-out, and the opening weekend of the Cashel Mall Re:START shopping precinct).